Up till now only available as part of a special two-CD ROCKVILLE package via the band s Pledge Music campaign, this album will get a standalone release on 25th March 2013. 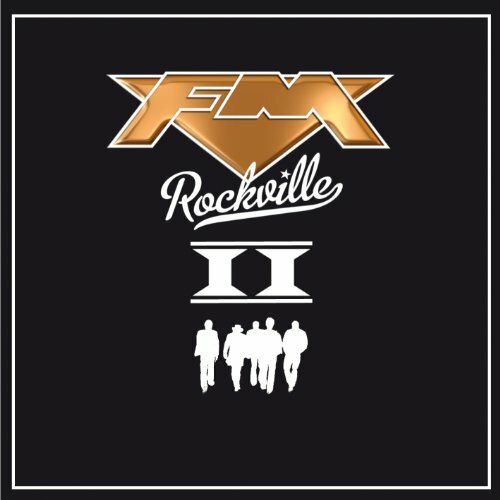 In addition to FM's new studio album ROCKVILLE out March 11, ROCKVILLE II features ten new recordings, nine of which are brand new songs. It also includes a new recording of the track ''High'' which was originally recorded by Steve and Pete as So! for their BRASS MONKEY album. We love this song, which now got the FM treatment! In March 2012, legendary UK rock band FM went back in time to 1986. They have been joined by many fans in celebrating the 25th anniversary of their first album INDISCREET at sell-out shows which were unashamed nostalgia-fests. Now they bring you a completely new DVD - INDISCREET 25 LIVE. Filmed live in concert at Manchester Academy 2 and London O2 Shepherd's Bush Empire this DVD also features a documentary section refl ecting on Indiscreet's place in FM history.